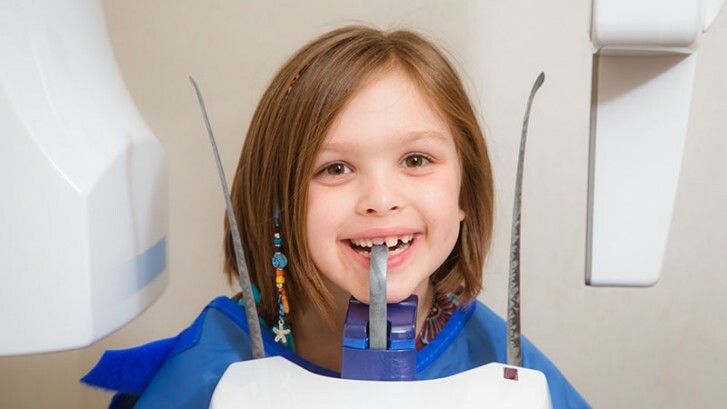 Smiles 4 Keeps > Blog > Dental X-ray > Are Dental X-Rays Safe for Children? The X-ray has been vilified in the media, and while sensationalism is at an all-time high, there are legitimate concerns over the safety of some types of x-rays. When you hear mentions of “unsafe” or “extremely dangerous” x-rays, this is typically referring to older, outdated methods of using x-rays on patients. At Smiles 4 Keeps, we take every precaution necessary in order to ensure that your child is exposed to as little radiation as possible. In fact, we follow all FDA and AAPD guidelines when it comes to administering X-rays to children, babies, and toddlers. What type of x-ray do you use? At our pediatric dental practice, we use digital x-rays, which are designed to achieve the same desired result as older machines, while emitting a significantly less amount of radiation. In fact, it is estimated that a cross-country flight would expose your child to 8 times the amount of radiation as they would receive from one dental x-ray! Are you going to cancel your next cross country flight to see friends or family because you are concerned about radiation exposure? I didn’t think so. The fact of the matter is that dental x-rays (especially the digital x-rays we use) are extremely safe, and pose no significant risk for your child’s health. What does pose a significant risk is your child not getting adequate dental treatment, and make no mistake about it, dental x-rays are a vital component of adequate dental treatment. What pediatric dental problems are often detected with x-rays? Diagnosing disease and infection. These things are not always identifiable with the naked eye, and a dental x-ray can ensure early diagnosis and detection so that we can create an effective treatment plan for your child. Identifying dental decay. Again, dental decay is not always found during a routine exam. X-rays enable us to find dental decay in places that are hard to reach and see in your child’s mouth. Wisdom teeth. We can keep an eye on your child’s wisdom teeth, and if they become impacted we can address the possibility of having them removed as early as possible to prevent later problems. We take every precaution necessary to ensure your child is treated with a minimal amount of radiation exposure. For more information, or to schedule your appointment, give our office a call today or contact us! We look forward to treating your child!